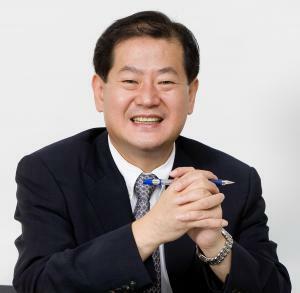 Prof. Wonwoo Nam of Department of Chemistry and Nano Science, Ewha Womans University, Republic of Korea will deliver a lecture on 12 June on Biomimetic Studies for Metal-Oxygen Intermediates in Dioxygen Activation Chemistry. Prof. Wonwoo Nam is also NITech's Professor for the JSPS (Japan Society for the Promotion of Science) Brain Circulation Project. Dioxygen is essential in life processes, and enzymes activate dioxygen to carry out a variety of biological reactions. One primary goal in biomimetic research is to elucidate structures of reactive intermediates and mechanistic details of dioxygen activation and oxygenation reactions occurring at the active sites of enzymes, by utilizing synthetic metal-oxygen complexes. A growing class of metal-oxygen complexes, such as metal-superoxo, -peroxo, -hydroperoxo, and -oxo species, have been isolated, characterized spectroscopically, and investigated in various oxygenation reactions. During the past decade, we have been studying the chemical and physical properties of various reactive intermediates in oxygenation reactions, such as high-valent iron(IV)- and manganes(V)-oxo complexes of heme and non-heme ligands in oxo-transfer and C-H activation reactions, non-heme metal-peroxo complexes in nucleophilic reactions, and non-heme metal-superoxo complexes in electrophilic reactions. The effects of supporting and axial ligands on structural and spectroscopic properties and reactivities of metal-oxygen adducts have been extensively investigated as well. In this presentation, I will present our recent results on the synthesis and structural and spectroscopic characterization of mononuclear nonheme metal-dioxygen intermediates as well as their reactivities in electrophilic and nucleophilic oxidation reactions. please type @ instead of (at) to complete the e-mail address.